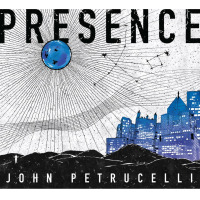 John Petrucelli is a jazz saxophonist and composer who began the foundation for his musical career at age 11 in the night club scene in Trenton, New Jersey. He earned his MM in Jazz Studies at Rutgers University, studying with Ralph Bowen, Stanley Cowell, Charles Tolliver and Conrad Herwig. Petrucelli performs monthly at Somethin' Jazz Club in NYC and throughout the tri-state area. 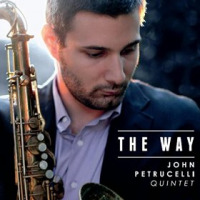 In 2015 sees Petrucelli surging onto the jazz scene with his compelling debut album The Way, which will be released on February 3, 2015, featuring emerging jazz artists Peter Park (guitar), Victor Gould (piano), Alexander Claffy (bass) and Gusten Rudolph (drums) alongside legendary drummer Victor Lewis. “Emerging tenor star John Petrucelli had a fabulous long improv solo as the rest of the ensemble played the melody on an old up tempo arrangement of ʻBody and Soulʼ...” Frank Mulvaney, Jersey Jazz February 2011 Issue. All About Jazz musician pages are maintained by musicians, publicists and trusted members like you. Interested? Tell us why you would like to improve the John Petrucelli musician page.